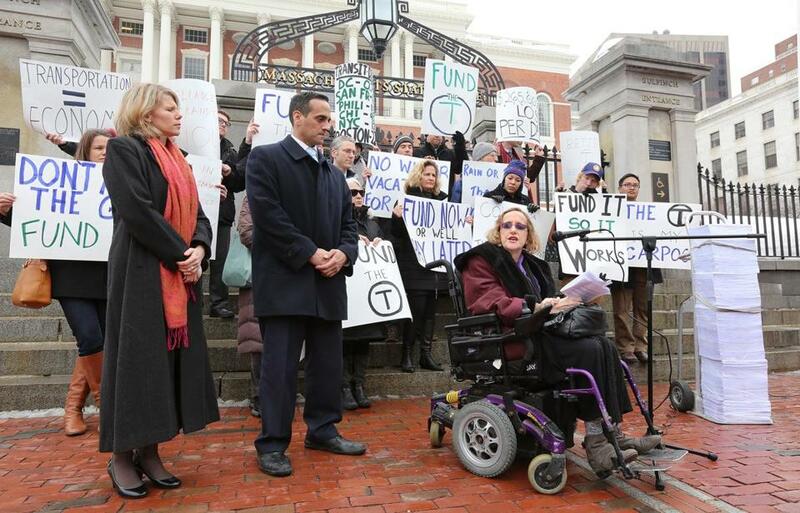 Public transportation advocates rallied at the State House on Wednesday to demand more funding for the MBTA. ■ The T recently revealed it would need to spend about $6.7 billion to repair and upgrade its trains, rails, and stations to be in good working order. 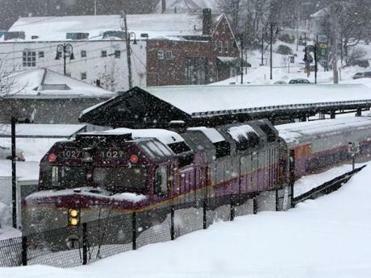 ■ The commuter rail system, walloped by the winter, is still operating on a reduced schedule after weeks of late or canceled trains. ■ And an angry public is demanding refunds for a disastrous month of interrupted service. But if DePaola was overwhelmed by the what ails the T on Wednesday, his first day as interim general manager, he didn’t let on. The board that oversees the T also expressed skepticism about issuing refunds for poor service, saying repair and upgrades take priority. DePaola, who took over the T after Beverly A. Scott last month abruptly announced plans to step down, has served as the state transportation department’s highway administrator. He says that experience will help him lead the T next time it is socked by a big snowstorm. DePaola started on the day Governor Charlie Baker also released his budget for the next fiscal year, which includes $1.172 billion for the T’s operating budget. On Wednesday, a small group of public transportation advocates held a rally on Beacon Hill to demand even more state funding for the T.
“We need to make sure our Legislature does not forget that transportation has to be at the top of our priority list even when the snow melts,” said Kristina Egan, the executive director of Transportation for Massachusetts, who passed along to Baker a petition with 12,000 signatures. DePaola refrained from criticizing the amount allotted to the T.
“It’s a step in the direction of recognizing the T needs further investment,” he said. Several members of the board that oversees the MBTA said on Tuesday that investment, rather than refunds to mollify commuters, should be the immediate focus of spending. DePaola also said a refund scheme could be abused by customers who lied about buying passes. Instead, DePaola said, he would prefer giving riders discounts on future fares, rather than refunds on their February passes. Keolis Commuter Services, which operates the T’s commuter rail, is trying in its own way to regain customers. A spokeswoman said the company took out ads in The Boston Globe and the Metro newspaper that feature a letter from the company’s new general manager, Gerald Francis, who apologizes for poor service.